Ever wondered what went into tuning a Mercedes-Benz? Check out BRABUS Tuning for Mercedes-Benz, and you can see firsthand what BRABUS can do for one of these beauties. Who knew? BRABUS, the quintessential tuning shop, not only tunes the supercars, but for the right price, they'll also tune a Sprinter van. 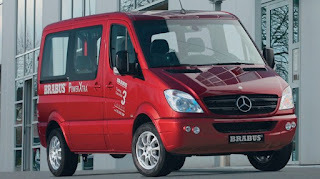 Add a performance kit, BRABUS door locks, BRABUS pedals and more to a Sprinter van to give it the BRABUS look and feel. Want to see what they could do with your C-Class? From a new rear bumper to stainless steel sports exhaust, sideskirts as well as performance exhaust, BRABUS-tuned C-Class vehicles are enhanced versions of themselves.